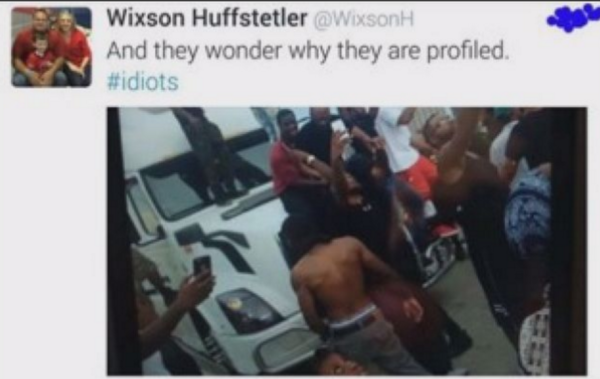 An official in Jonesboro, Arkansas has been suspended after a racial tweet. According to ArkansasMatters, Jonesboro Parks and Recreation Director Wixson Huffstetler has been suspended without pay for a racially demeaning tweet. Officially Huffstetler was suspended for violating the city’s personal conduct policy. Huffstetler apologized after he realized his job was in jeopardy. It is curious, however, that some white people like Huffstetler believe African-Americans should be profiled for how they dress, but don’t believe whites should be profiled based upon how they behave. No country has inflicted more violence upon the world than the U.S. 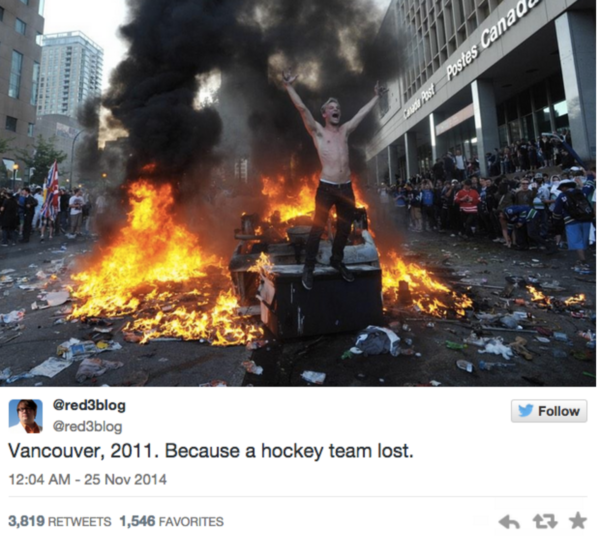 Even locally, how would white sports fans react if they were met with riot police after championship games? This sort of racial profiling would seem perfectly understandable considering the inclination of young white sports fans to destroy city property simply because their team lost. 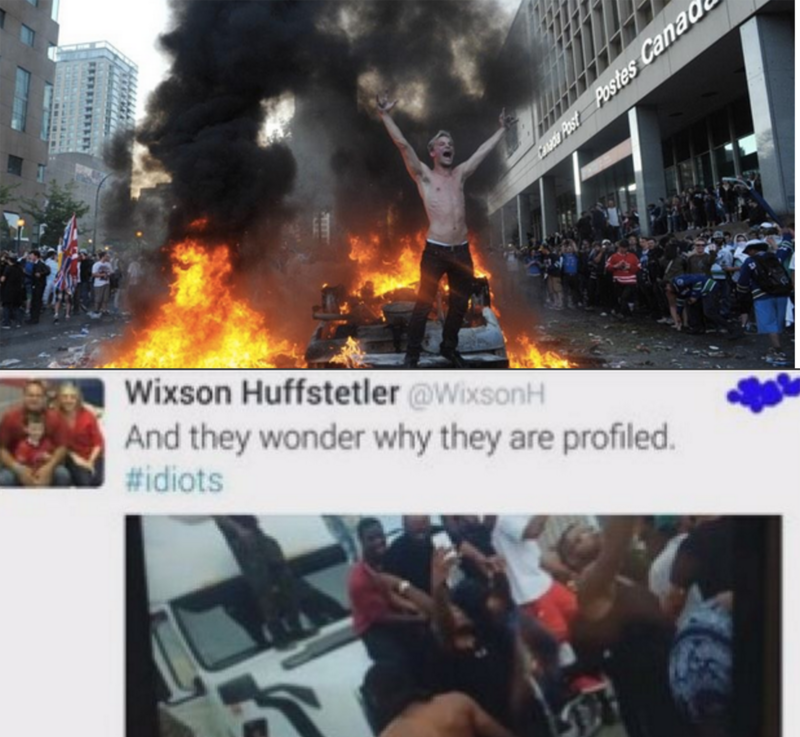 In 2014 AlterNet published 11 Moronic Reasons White People Have Rioted and many, if not most, of the riots were linked to sports wins or losses. So which is more important? Black male dress (and protests) or white male violence? SYSTEMATIC RACISM CAUSED THESE CONDITION TODAY. FOLK LIKE TRUMP AND HIS ILKS CAUSED CONDITION OF TODAY. SEPARATE BUT EQUAL IS NOT ENOUGH WITHOUT JEALOUSY: BLACK WALL STREET 1921. You are a racist idiot who doesn’t deserve to serve the youth of Jonesboro, Arkansas as its Parks and Recreation Director. The mayor Mr Perrin got it RIGHT! He got rid of you quick-fast. You’re a racist liability. There’s a job waiting for YOU with the Trump Campaign. They are looking for klukluxklan idiots just like you. Hurry and apply.